Softbank Ventures Asia is aware that the exponential growth in data consumed from all areas of life coupled with the necessary compute and storage requirements will create bottlenecks for existing block-based storage solutions. So, to find a solution to this impending challenge, we turned our attention to Israel to find the next generation storage technology, leveraging Israel’s global leading positions in semiconductor and NAND flash storage technologies. We are delighted to today announce we are leading the $30 million Series B round investment in Israeli storage processor company, Pliops, alongside leading strategic and financial investors such as Intel Capital, Western Digital, Xylinx, Viola Ventures, State of Mind Ventures. Since entering the Israel market in 2015, this is a milestone deal for Softbank Ventures Asia as it is our first lead investment in Israel, and fourth overall. 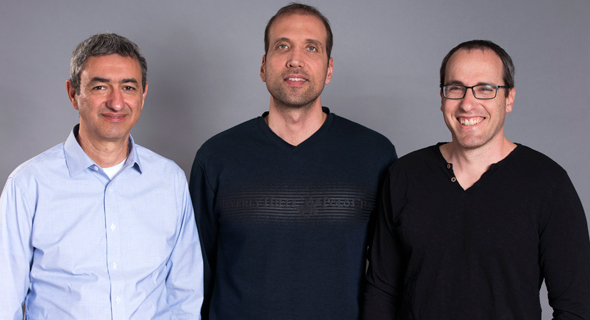 Pliops was founded in 2017 by Uri Beitler and Moshe Twitto who are experts in NAND flash, SSD and storage controller technology having spent the prior 7 years at Samsung’s Semiconductor R&D Center in Israel. Joining Uri and Moshe early on as active Chairman was Aryeh Mergi, who was co-founder of M-Systems (sold to SanDisk for $1.6 billion) and co-founder of XtremIO (sold to EMC for $400 million). Recently, Steve Fingerhut (ex Toshiba, SanDisk, Intel) joined as Chief Business Officer and is leading the company’s expansion in the United States and Asia. Pliops is developing a a new category of product, the storage processor, with a vision to enable a new level of scaling in cloud computing, machine learning, hyperconverged infrastructure, software defined storage and all flash arrays. According to IBM, humans and machines are creating a staggering 2.5 quintillion bytes of data each and every day. By 2020, DOMO has forecasted that every person on earth will be generating 1.7 megabytes of data every second, underpinning IDC’s estimates for the storage market to grow from 7.9 zettabytes in 2015 to 44 zettabytes in 2020. This growth comes in part from spiralling social media usage with billions of daily active users sharing photos, videos or songs by the second while home, enterprise and industrial Internet of Things (IoT) devices are generating data at an unprecedented scale. Throw into the mix medical imaging and enterprise consumption, and storage can become a crippling cost to any organisation. Moreover, due to the diverse types and sources of data, a lot of this is in an unstructured form (an estimated 80-90% by IDC) where the bottleneck becomes in the storage, analysis and retrieval of such data. And such data will need to be regularly accessed for use cases such as AI and deep/machine learning. And this is where the Pliops solution comes to the rescue. Customers who will benefit the most from the Pliops solution include hyperscalers, cloud providers and enterprises who are increasingly switching their primary storage mediums from hard drives (HDDs) to flash memory based solid state drives (SSD) to benefit from their inherent performance advantages. By sitting between the application layer and the SSD/NAND, the Pliops processor will deliver even more benefits in terms of higher write throughput, Quality of Service (QoS) and reduced cost, latency and power consumption. Today, Pliops employs 35 people with offices in Israel and California. We are proud to welcome the Pliops team to the Softbank Ventures Asia family!